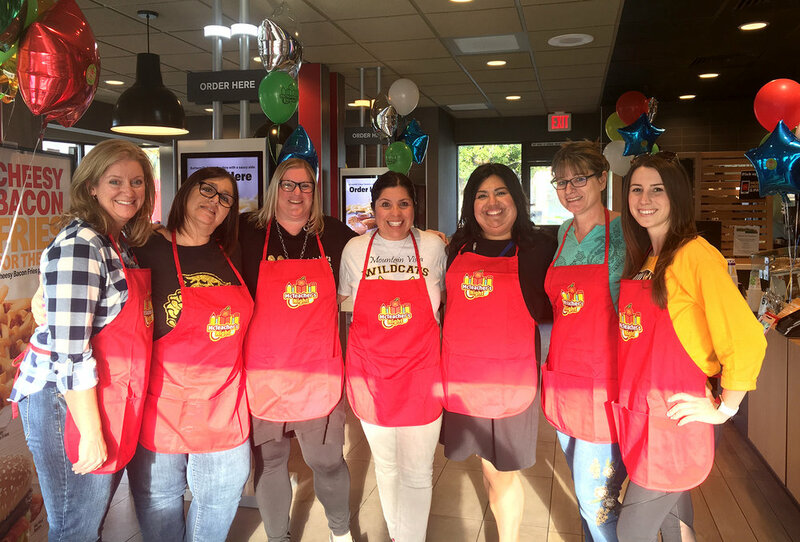 Mountain Vista teachers and staff greeted families and served meals at Mc Donald’s. Many families and community members were there to show their support. The Wildcat made a special appearance and took pictures.